If you ask the Portuguese, “Which came first, the chicken or the egg?” I would place my bet on the egg. Ovos are found throughout Portuguese cuisine. They’re poached in soups and açordas; fried on top of steaks, alheiras and francesinhas; boiled with fish and mixed into many of their beloved bacalhau dishes; and beaten with sugar and cinnamon in numerous desserts and sweets. 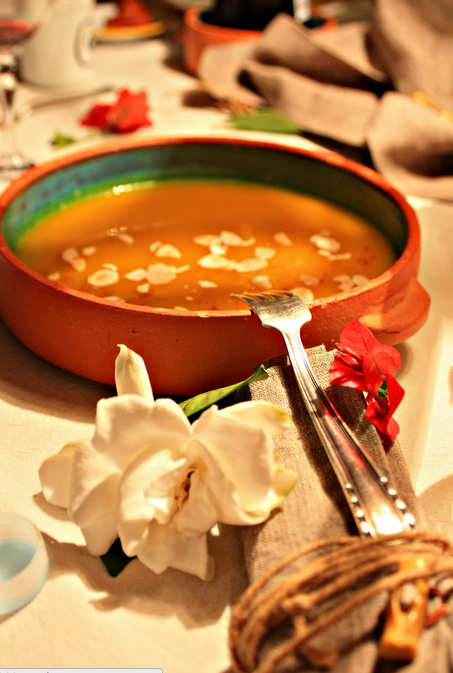 Even the Portuguese chicken soup- canja, traditionally includes the boiled yolks of the un-laid eggs still left inside the chicken after its killed! So why does the egg seem to symbolize as much “à portuguesa” as their national anthem in their culture? Where did this love for eggs originate? This was the question I set out to solve a few weeks ago among o povo– the Portuguese people. I spoke to locals, the little grandmas, the mama cooks at the small tascas and the old grocers. I even went to the countryside to bond with the actual life-force of the egg, as galinhas – our feathery friends -the chickens themselves. What I found was not a straightforward answer, but instead, the economical, political and religious influences that helped shape Portugal’s egg culture. And within this were the touching personal stories from a people who hold their memories and traditions dear to heart. The Iberian Peninsula has seen many civilizations and cultures pass through its land over its long history; and for many, eggs were an important food source in their time. The Romans regarded eggs quite highly in their cuisine; and the Moors, who were the last civilization to be conquered by the Spanish and Portuguese kingdoms, used poached and fried eggs abundantly in their dishes. This can still be seen in various Middle Eastern and North African cuisines today, as well as in both Spanish and Portuguese dishes; among other inherited ingredients such as chick peas, almonds, paprika and bread-based dishes. Like Spain, Portugal is inherently Catholic, and both are home to numerous convents and monasteries all over the countries. However, it was common practice in Portuguese convents to use egg whites for starching/pressing their habits, and egg whites were also very useful for filtering liquids, such as wine. As they were paid with chickens by the poor, eggs were always bountiful. During the time of the Discoveries when Portugal received cane sugar from Brazil, the nuns wisely thought to use it in their desserts. Add heaps of leftover yolks, and you have the beautiful beginning of doces conventuais. 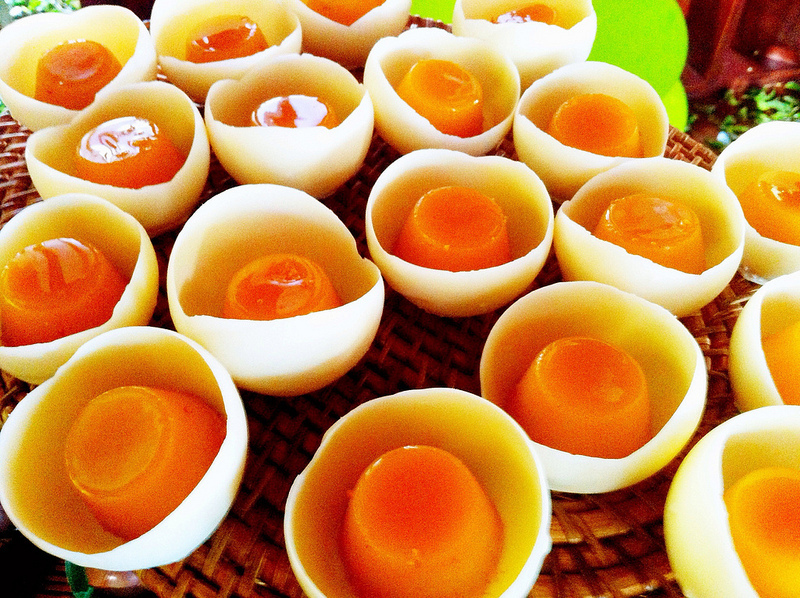 If you’re keen to see the vast array of egg based desserts across the Peninsula, simply stroll the streets at any given Catholic holiday, and you’ll be astonished by the sheer number that exist. What’s more amazing is how each and every one has their own unique texture and flavor. When you look at Portugal economically, this small country has traditionally run on its agriculture. Plagued by poverty for several generations, it wasn’t until after the reign of the monarchies, through the Salazar dictatorship that ended in 1974, that Portugal clawed its way out. Hence, meat was a commodity reserved for the aristocracy and various shortages throughout the years pushed the masses to often rely on eggs to supplement or become their sole source of protein. In rural areas, it was common to raise chickens (and many still do today), as they required the least amount of space and can feed off the ground and/or from leftover food scraps. When not used as a source of nutrients, eggs became a coveted form of currency. Adelaide Gomes, the cook and other half of my favorite little tasca- Tasca do João, grew up poor in the rural North during the dictatorship. She recalled times when families would sell the leftover eggs at the feira- market to those without chickens, carrying them nestled in baskets of beans to keep them from breaking. I wondered why customers didn’t buy their eggs close to home, was it because they couldn’t find them in the city? Were they cheaper at the market? And if the families could sell them for a good deal, they would take the earnings and use it to buy more expensive commodities that they could not always afford, from other vendors at the market, such as meat and fish. Adelaide said that sardines were the most coveted commodity to buy with their egg sales in the North. However, she remarked that there were times when you couldn’t get a good price for your eggs, with the market fluctuating. If that was the case, they would go home and use up the remaining eggs in cakes or sweet bread that required numerous eggs. This is why you find many Portuguese cakes with upwards of 7 – 12 eggs in the recipe! João Gomes, Adelaide’s husband, almost brought tears when he recalled a story from his youth when his mother would fry an egg up for his birthday as his “special gift”. Whether you were poor or not, many Portuguese from that generation, as well as today, continue to have fond memories of eggs, especially prepared with a perfect runny yolk. Maria Emilia Encarnação, my boyfriend’s grandmother, said she always enjoyed making ervilhas com ovos escalfados – stewed peas and tomatoes with poached eggs. The process of frying an egg is still considered an art, as witnessed by my boyfriend’s careful, concentrated egg frying when we make steak. Even the word “to fry an egg” in Portuguese – estrelar derives from estrela– star, perhaps demonstrating that the Portuguese have always believed that eggs were heaven-sent. When you look into the amazing world of Portuguese cuisine, it’s about simple, local ingredients used in a multitude of ways, as beautifully displayed by the egg. 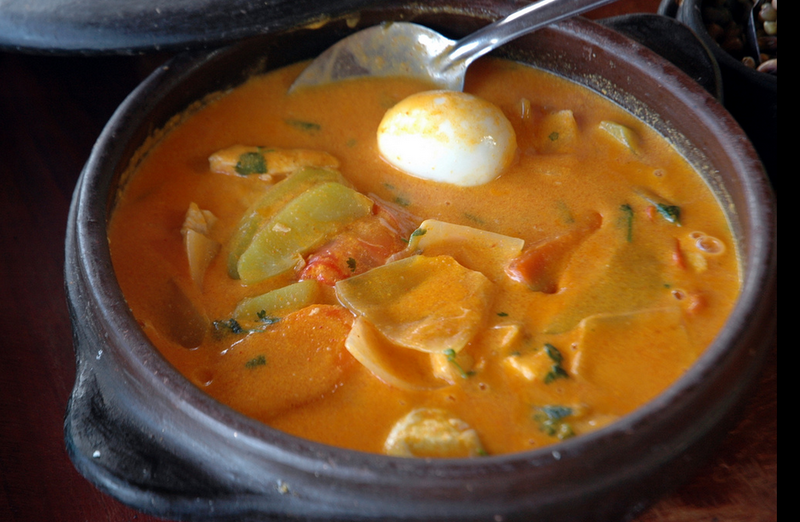 If you’re planning to visit Portugal and want to try some of their most-notable egg-based foods, I would recommend starting with my favorite Alentejano soups: Açorda Aletenjana (“bread soup” with poached egg) and Sopa de Tomate (tomato soup with poached egg). Then look for the eggy codfish dishes: Bacalhau à Brás (shredded saltcod fried with potatoes, onions and scrambled egg), Bacalhau à Gomes de Sá (shredded saltcod baked with potatoes, onions and hard-boiled eggs). The fried egg pairings include: Bitoque (thin steak served with a fried egg on top) and Alheira à Mirandela (fried alheira sausage with a fried egg on top), and the gluttonous Porto Francesinha. Finally, conclude with egg-yolk rich sweets like: Pasteis de nata (egg custard tarts, go for the ones in Belém, and Ovos Moles. 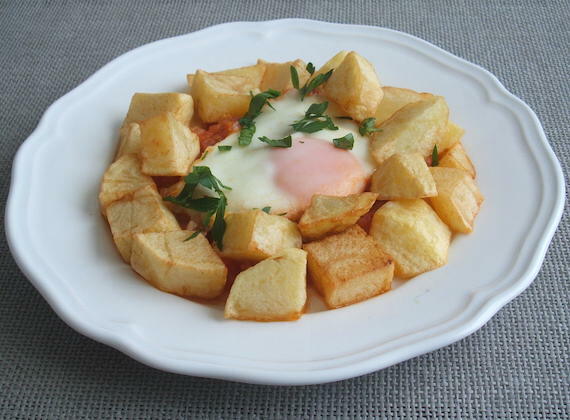 To my Portuguese friends: What are your favorite egg-based dishes and desserts? Do you have any memorable egg stories from your youth? And if you have any other stories or theories on how eggs became popular in Portuguese cuisine we would love to hear from you! To that wonderfully versatile ovo. Andrea moved to Campo de Ourique, Lisbon, in early 2008 with a dream to work and learn more about Portuguese wine. Born in Northern Virginia in 1983, Andrea's Italian family taught her the importance of pairing fresh food with great wine, eventually motivating her to graduate from the Culinary Institute of America (CIA), where she earned an Associates and Bachelor's degree in Culinary Arts and Business Management, as well as her Introductory Certificate from the Court of Master Sommeliers in 2004. Andrea uses her love of culture, gastronomy and language to research the hidden recipes and wines of Portugal.